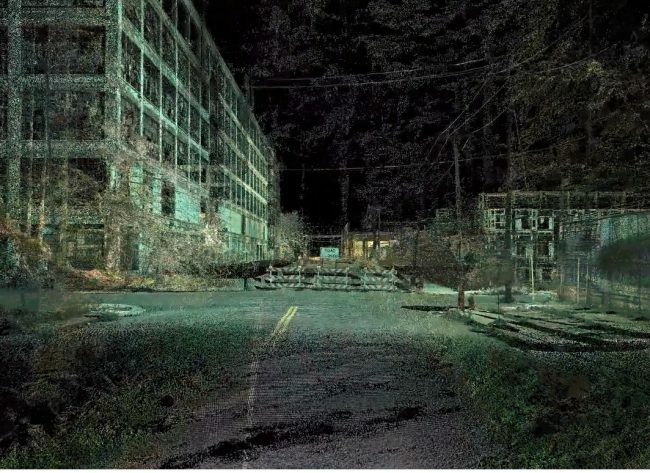 Where the City Can’t See is the first fiction film shot entirely through laser scanning technology, directed by artist Liam Young and written by author Tim Maughan. Set in the Chinese owned and controlled Detroit Economic Zone (DEZ), in a not-too-distant future where Google maps, urban management systems and CCTV surveillance are not only mapping our cities, but ruling them. Exploring the subcultures that could emerge from these new technologies, the film follows a collection of young factory workers across a single night, as they drift through the smart city in a driverless taxi, searching for a place they know exists, but that the map doesn’t show. They are part of an underground community that work on the production lines by day, by night adorn themselves in machine vision camouflage and the tribal masks of anti-facial recognition, enacting their escapist fantasies in the hidden spaces of the city whilst searching for the wilds beyond the machines. Where the City Can’t See is a cross platform production, which has manifested as live performances, installations and now as a short film. 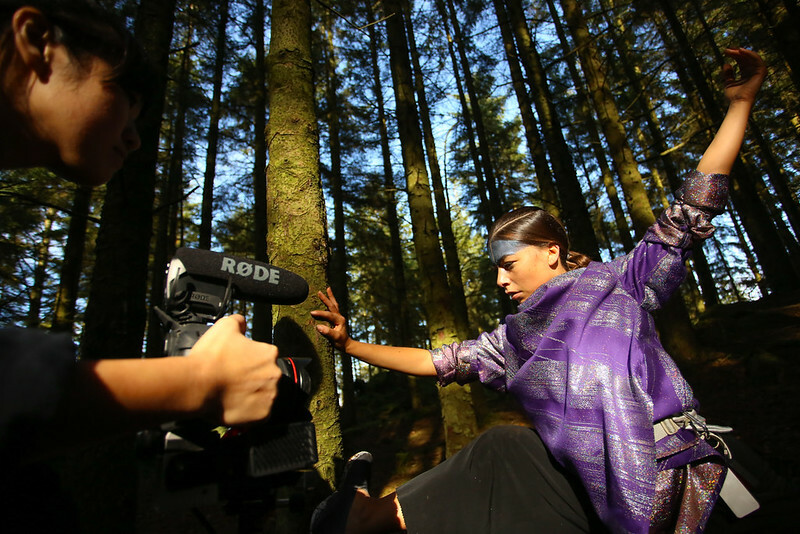 The project launched during AND Festival 2015, at Grizedale Forest (Cumbria, UK), as an open film set, where scenes set in the natural environment were recorded. The remainder of the film – including the industrial, urban sequences – was shot in 2016 in Detroit (US). The film brings together composites of these two locations, merging them to create a new, virtual landscape. Where the City Can’t See was commissioned by Abandon Normal Devices, St Helens Heart of Glass and University of Salford Art Collection. Produced by Liam Young and Abandon Normal Devices, with support from Forestry Commission England’s Forest Art Works and supported using public funding by Arts Council England. Liam Young is an architect who operates in the spaces between design, fiction and futures. He is founder of the urban futures think tank Tomorrow’s Thoughts Today, a group whose work explores the possibilities of fantastic, perverse and imaginary urbanism’s. Liam also runs the Unknown Fields Division, an award winning nomadic workshop that travels on annual expeditions to the ends of the earth to investigate unreal and forgotten landscapes, alien terrains and industrial ecologies. Young opened Transmediale festival 2016 (Berlin, DE) with a performance-lecture version of the work and delivered another iteration of this format at the University of Salford (UK) on Wednesday 23 November 2016. The final film had its world premiere at The Invisible City: the Cinema of Surveillance on 12 November 2016. The Invisible City was a programme of film screenings and artist tours presented by AND in partnership with the Heart of Glass. Located at the former Pilkington Glass HQ in St. Helens the programme explored themes of transparency, surveillance and cinematic espionage. It will also be screened at the U.S. Pavilion exhibition at the 2018 Venice Biennale.